Hi, Jean Robb here. Veterans day is a great time to be reflective on the gift of freedom. Soldiers and their families have sacrifice so much for our freedom.Thanksgiving and Christmas are just around the corner. I can't imagine not being with my spouse or children on these special days. It must be hard to serve so far away from home. The soldiers that serve today and the veterans that have served in the past have sacrificed so much for us. How do you say thank you for such a gift? There are many organizations available to help but some are falling short on getting the money you send to the families in need. Here is some great information rating the charities to help you say thanks to a deserving military family. 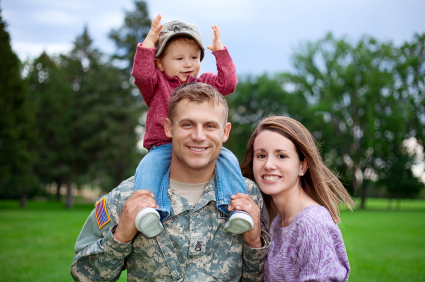 GreatNonprofits is excited to announce the results of the Military Families Campaign. This October, any organization that received 10 or more positive reviews qualified as a Top-Rated Military Families Nonprofit. Interested in donating or volunteering for a veteran's charity? Browse this list to find nonprofits in your community making a difference. Just click on the name of each charity below to see their main page!